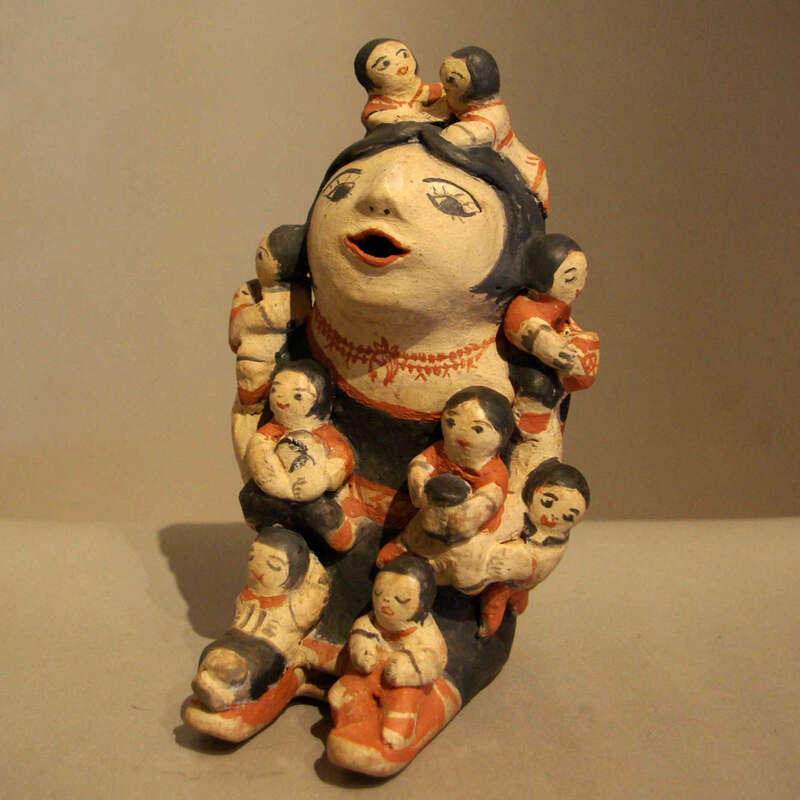 Felecita Eustace is a traditional potter from Cochiti Pueblo. 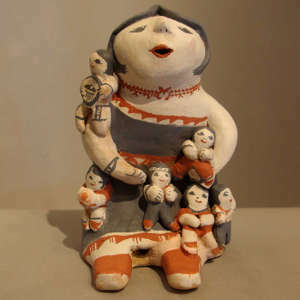 She is well known for her storyteller figures. 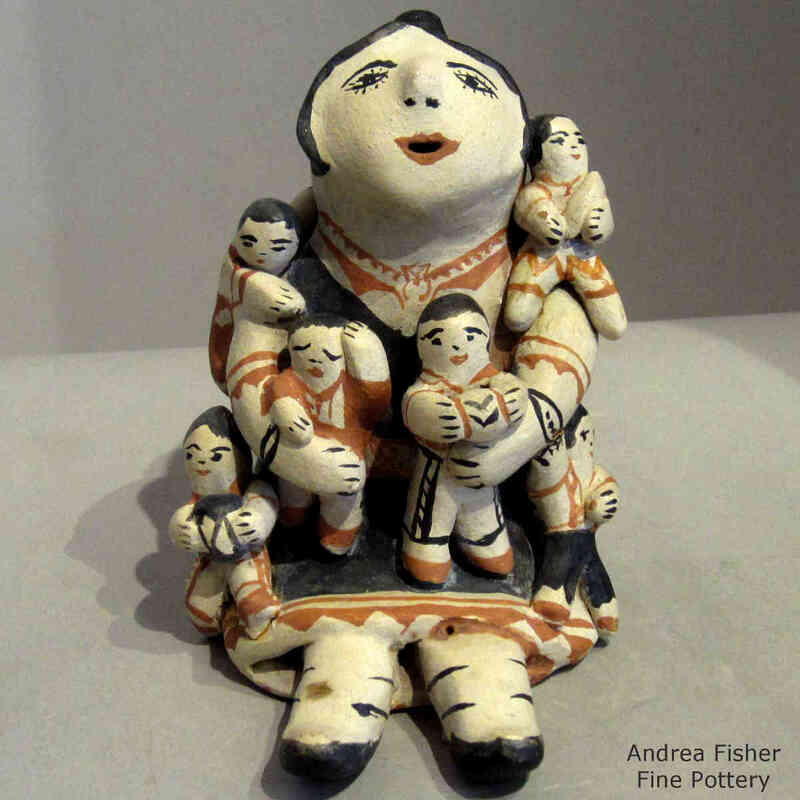 She is the sister of Seferina Ortiz and wife of Ben Eustace, a potter and jeweler originally from Zuni Pueblo. In addition to making pottery figurines, Felecita also makes jewelry.